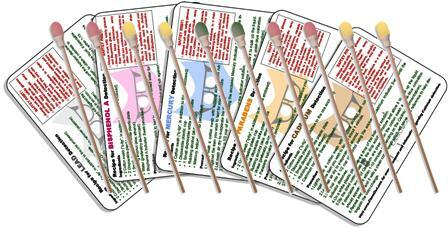 Multi-Test Kit - Order Now for Only $46.99! 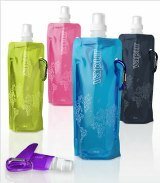 Concerned about your exposure to BPA, Lead, Parabens, Mercury or Cadmium?... Just Check It! 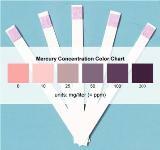 We're happy to offer our user-friendly Multi Chemical test kit, including our specialty indicators for BPA, Lead, Parabens, Mercury or Cadmium and easy-to-following detection recipes, for simple and reliable detection of these hazardous chemicals in your own home, and as a great science fair project idea. BPA and Parabens are synthetic hazardous chemicals that mimic the estrogen in our bodies and cause hormonal unbalance and developmental impairments, especially in young children, along with being linked to breast cancer. 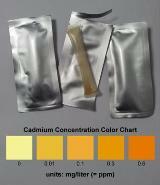 Lead, Mercury and Cadmium are heavy metals enter our bodies through exposure to contaminated products and accumulate in our organs causing damage vital systems such as the brain, kidneys and lungs. 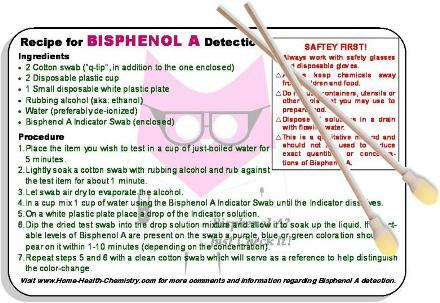 Chemical testing is made easy by simply following the detection recipes and using the provided specialty indicators, which are delivered at the amount required and deposited on swabs for easy and safe handling. 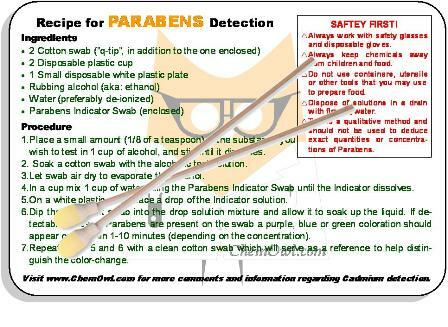 You will also receive the printed test recipes for each hazardous chemical describing how to carry out the screening procedure. 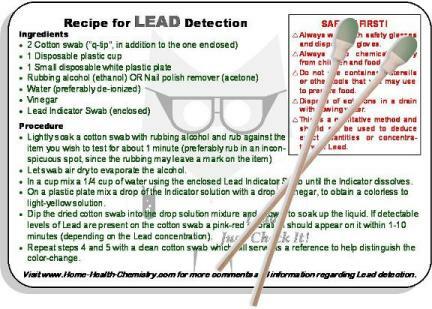 Simply place the swab in alcohol or water (as directed by the recipes) to prepare an active indicator solution and check for hazardous Lead, BPA, Mercury, Parabens or Cadmium in your own home. 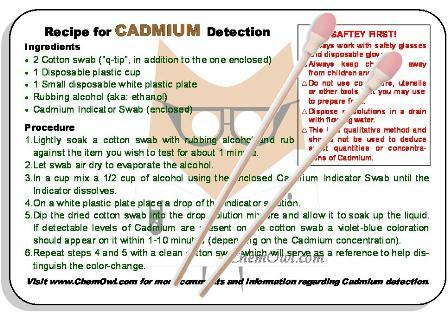 Each kit contains 2 swabs of each specific indicator (a total of 10 swabs) and allows multiple tests to be carried out on a variety of products. All financial transactions are handled exclusively by PayPal's secure payment system, and Credit Cards are accepted, so none of your personal financial information is transferred to us or stored by us (see our purchase policy for more information regarding ordering, shipping and product returns. 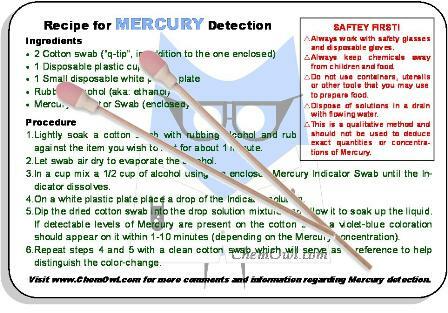 Click here to view more test kits for detecting individual hazardous chemicals, such as BPA, lead, parabens, mercury and cadmium, as well as more great science fair project ideas. Multi-Test Kit - Order Now for Only $69.99!